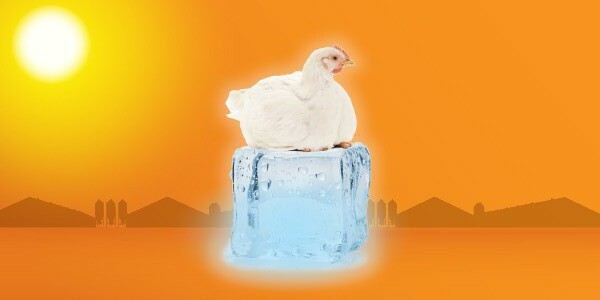 Most commercial broiler farms utilize an evaporative system to provide cooling during hot weather. Although there is no substitute for regular maintenance and cleaning, choosing the right system can reduce repairs. 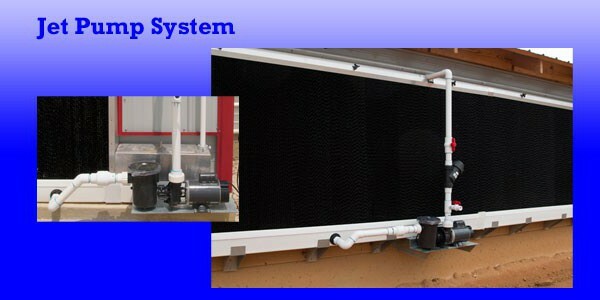 In part 3, we compare pump and sump tanks options for Hog Slat’s Evaporative System. The jet pump system has several advantages starting with an open, drip proof, air cooled motor that does not have to operate in water. Repairs are less expensive because a jet pump has two components; the motor can be replaced separately from the impeller assembly. 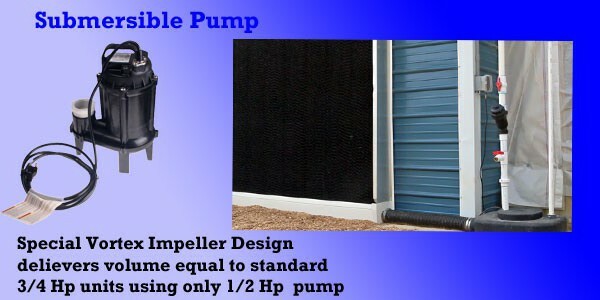 Repairs are easier with a jet pump because the assembly is above ground, and you don’t have to pull the pump out of a sump tank like a submersible pump to perform repairs. The strainer basket protects the impeller assembly from debris. 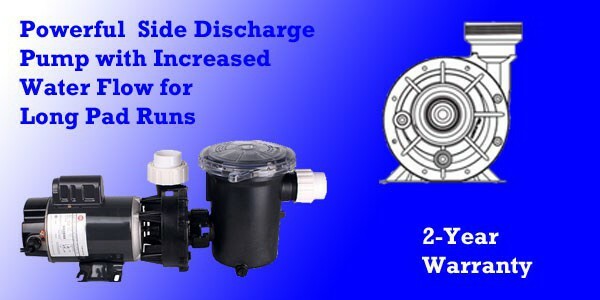 Side discharge design delivers higher volumes than competitors center discharge pumps so water reaches the ends of long pad runs. 3/4 hp pump is available in 115V or 230V models. The Hog Slat submersible pump is specially designed for cool cell system applications and not just adapted from other industries. Re-designed vortex impeller produces lower head pressure and higher water volume, resulting in an efficient 1/2 hp pump with the same output as normal 3/4 hp submersible pumps. The Hog Slat sump tank design does not require it to buried in the ground like conventional T-Tank sumps. On systems where trough height permits an above ground installation, the tank will set directly on a concrete pad. 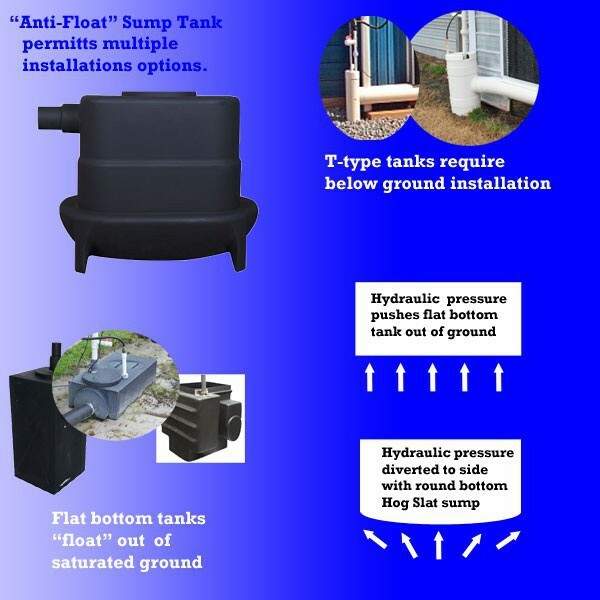 For below ground installations, the Evap System sump tank features a molded lower lip with a rounded bottom profile to help prevent it from “floating” out of saturated ground when the tank is empty.